legacy of good stewardship for those who follow." once in your life you doubt, as far as possible, all things." "Man is the religious animal. He is the only religious animal. He is the only animal that has the True Religion - several of them." interesting if you go into it deeply enough." "Strange is our situation here upon earth. yet sometimes seeming to divine a purpose." "The meaning of life is in the living of it." Numerical Solution of Integral Equations. Multivariate Approximation, Interpolation, and Quadrature. Spectral Methods for Partial Differential Equations. I am developing MATLAB GUIs to aid and encourage students in experimenting with standard numerical analysis methods for some of the basic problems in numerical analysis. For free downloads of these, click here. For a complete look at the materials used by the author in teaching elementary numerical analysis, click here. Books I have written or co-authored. Contact me for a copy of my curriculum vitae. For my publications list (including some pending work), click here. To access my anonymous ftp site, click here. My Erdös number is 2. In 2011 I was designated a SIAM Fellow. Materials and a course web page to accompany teaching from Elementary Numerical Analysis. A selection of general interest mathematics books for both the lay person and the technically educated mathematician. Mathematical Constants - by Steven Finch. He has also written the marvelous book Mathematical Constants, published by Cambridge University Press. The University of Iowa Museum of Natural History, located in MacBride Hall on the central campus of the University of Iowa. In particular, check out Iowa Hall, a smaller museum within the overall museum. It covers Iowa from ancient geological times to the present; it is a good introduction to the natural history of Iowa. Other parts of the museum included Bird Hall and Mammal Hall; these are older collections that have been refurbished and modernized in their outlook. Other collections are scattered elsewhere in MacBride Hall, and the archives contain a very large number of items. Fred W. Kent Park. This is the main county park for Johnson County in Iowa (the county containing the University of Iowa), and it is located 3 miles west of Tiffin on Highway 6. The park has an area of 1,082 acres, with forest, prairie, and wet-land areas. A 27-acre lake is stocked with catfish, large mouth bass, bluegill, walleye and crappie. The park is excellent for walking, containing many trails. Also, check out the Conservation Education Center, which is also a visitors' center; it is open on weekends from early May to late October. MacBride Nature Recreation Area. This is a large forested area located between Lake MacBride State Park and the Coralville Reservoir. It is located 15 miles North of Iowa City on Mehaffey Bridge Road. It is maintained by the University of Iowa and used by the university for a variety of recreational activities. 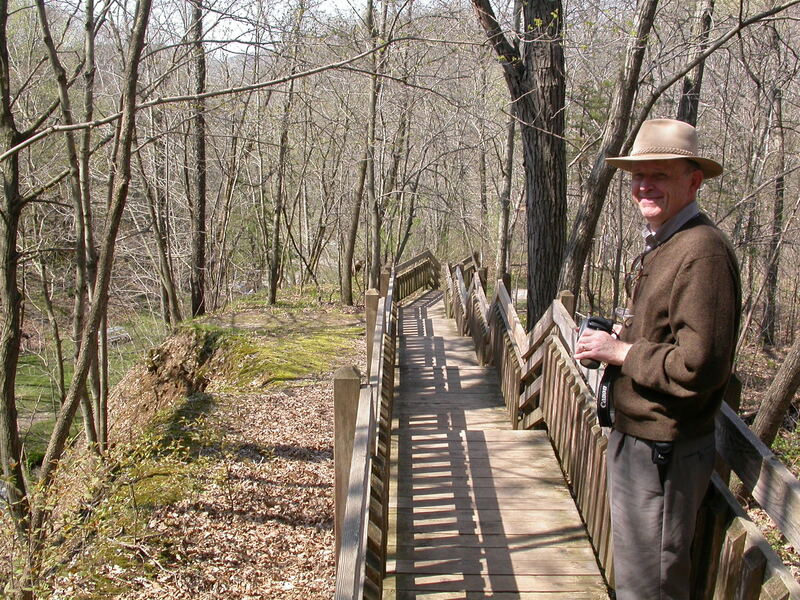 The MacBride Nature Area is rented from the U.S. Army Corps of Engineers. Check out the Raptor Center that is located here. Links for purchasing books over the web. Cartoons of Sydney Harris from The American Scientist.